An Exciting but Gentle Adventure Story that will Captivate You. PAYU’S JOURNEY is a simple adventure story illustrating the basic values of tolerance, forgiveness, kindness, courage, leadership, diversity and respect. 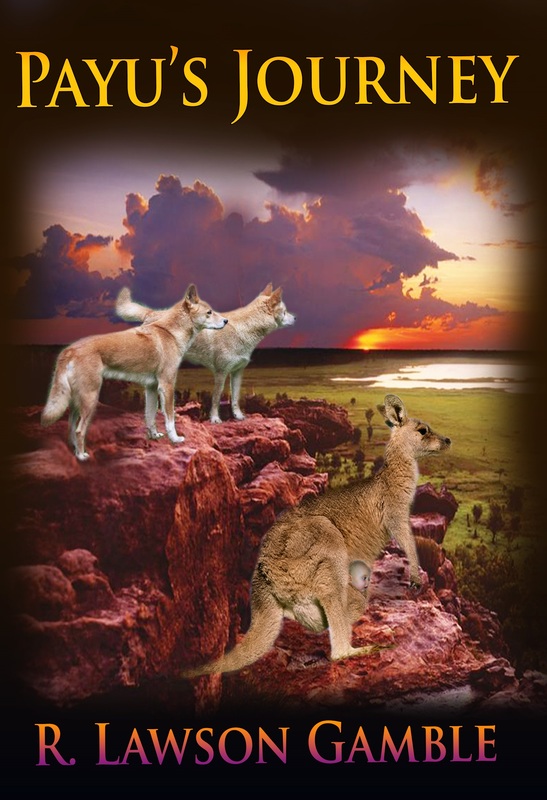 Caught between the worlds of man and animal, PAYU the Dingo sets off on a long and perilous journey to save a human baby. The odds are stacked against her, but her gentle and kind nature draws loyal friends to her side, one by one, chapter by chapter. Together they build a diverse animal community whose varied but united talents and skills can overcome any obstacle. Order it now from Amazon or through your local book store (available at the Book Worm in Santa Maria). Consider gifting a signed copy. Here’s How: Purchase Payu’s Journey where most convenient. Email LawsonGamble@rlawsongamble.com to say you made the purchase and include the name you want on it along with any message you wish. You will receive an attachment in an Email with a template signed by the author with the name and your personal message ready to print––at no cost.